The aim of this assessment is to provide students with an understanding of ways in which critical reflection can contribute to enhancing health care in the contemporary multicultural environment, as well as providing an opportunity for students to develop skills in critical reflection and knowledge of some of the frameworks that may be used for that purpose. Discuss the theory and practice of critical reflection and outline the benefits gained by nurses when they critically reflect on their practice. 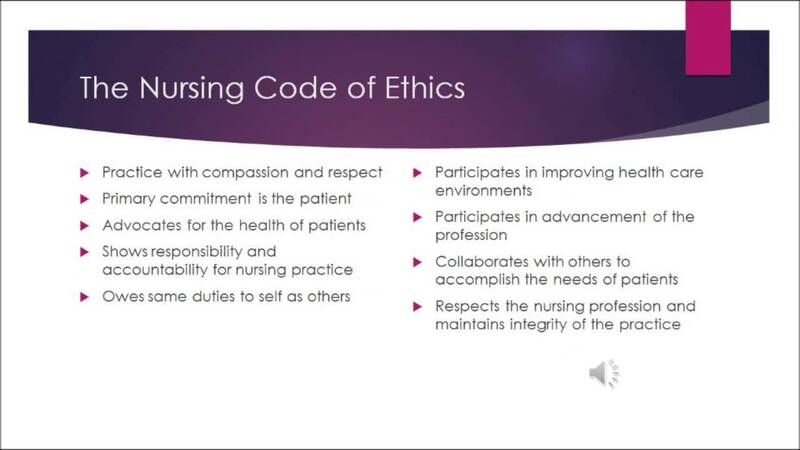 In your discussion, make specific reference to the Nursing and Midwifery Board of Australia (NMBA) codes and guidelines here https://www.vcuhealth.org/for-medical-professionals/nursing/about-nursing-at-vcu/ana-code-ethics. Identify and discuss some possible consequences if nurses do not critically reflect on their practice. Discuss strategies that nurses can use to reflect critically on events and experiences. With the current demands and advancement of health care delivery systems, the practice of nursing is a challenging career. Critical reflection is one of the important aspects, with regard to the development of professional competency in a nurse. Reflection is the process of analysing self-behaviour and actions regarding a caregiving process and incorporating changes in approach, to improve upon practice. The process of reflection pivots around asking questions and inquiring about self-actions during the practice of caregiving. Self-awareness, Critical thinking and approach, and analysis of actions through Gibb’s Reflective Cycle are the most useful methods to ensure reflection in nurses. The present essay would discuss the significance of reflection in professional nursing practice. Critical reflection is also one of the core philosophies of Australian Nursing and Midwifery Council (2006). The Nursing and Midwifery Board of Australia have stated that reflection needs to be such that helps nurses to become therapeutic partners. This means a nurse should exactly understand their roles and responsibilities, and should neither be less involved nor over involved in rendering care, which may cross borderline. Leicher (2012) showed that learning from errors provides the best opportunity for reflective learning in nurses. Critical approach refers to a reflective process which is more than just asking questions and providing self-feedbacks. The approach includes questioning in a particular way, which serves a broader perspective (Graber, 2012). It is evident from above guidelines and recommendations that critical reflection is important to ensure professional competency in a nurse, which is correlated to the well-being of patients. Failure to reflect can impose professional hazards for the nursing personnel. Without updated knowledge on medical sciences and their approaches, it can lead to communication gap with consultant physician, leading to deviation in care. Failure to make a proper analysis will lead to a repetition of same mistakes repeatedly that may deteriorate health outcome in a patient and also raise questions about professional integrity and competency of the nursing personnel. This may lead to termination or suspension from work, which may impact the professional career for a nurse. Even, non-sharing of best practices is considered as failure to reflect. This is because; the peer group will be unable to translate best practices, and will be viewed as a loss of opportunity, for the institution, in setting high standards of care. Failure to reflect improperly and inadequately will be viewed as a lack of involvement of the nursing personnel. Moreover, over involvement may cause nursing professionals to initiate or administer therapy, not recommended by a physician. The later issue might not only deteriorate health outcome in a patient but may be fatal which can impose medico-legal proceedings on the nursing personnel and health care institution.